and a hires JPG as background. So I attached the HDT to the Lux Infinite light source. How can I include the hires JPG? 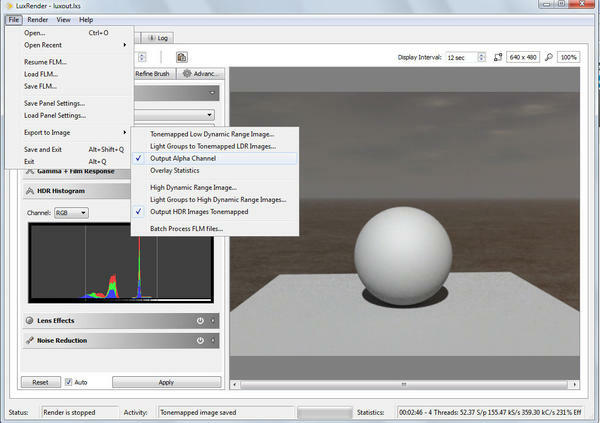 I tried to use the Extra Settings in the Render Room, but then no more rendering is possible, even when I delete them. As far as I can see, your HDRI would be the background image,. as well as supplying the light. Otherwise 'Backdrop' allows the use of 'Background' for one thing, being overridden by the image in the Backdrop as far as background image - if that helps. 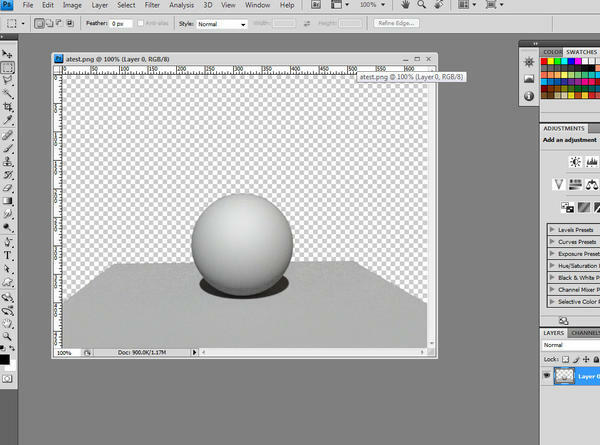 I do that if I want to use GI with a bigradient in the background - but I don't want the bigradient to show - I can use a color or image in Backdrop, which then overrides what is seen in the distant background of the image. EDIT: But I forgot that you were talking about Luxus - to which I'm not sure about, in this case. 3dage's suggestion of using the alpha channel is probably the way to go, but as another option, you can map your background image onto a plane and put this in the background at a distance, scaled to fill the frame as required. Just a possible alternative.